My daughter is grumpy. She keeps complaining that we are having our Thanksgiving in two days – on Saturday. When I mentioned getting our Christmas tree earlier this year, due to a complicated holiday schedule and adjustments that were made, she nearly game unglued. Tears, pouting, and teenage angst have been triggered by any discussion around the holidays this year. One year their dad mentioned switching weekends around the Thanksgiving holiday because he was travelling to Texas to visit his parents. His plan was to drive. Our daughters had not seen their grandparents, whom they absolutely adore, since May of that year. He did not make a request to take the girls to Texas with him – in fact he was asking if I could keep the girls longer over the holiday while he traveled. That year was my year to celebrate Thanksgiving Day with my daughters. I knew that with absolute clarity because the year prior when they were with their dad on Thanksgiving Day, I had persistently pouted and eaten pizza for what I declared to be my “un-Thanksgiving.” I was very much looking forward to my childhood tradition of watching the Macy’s Day parade with my girls in my year. 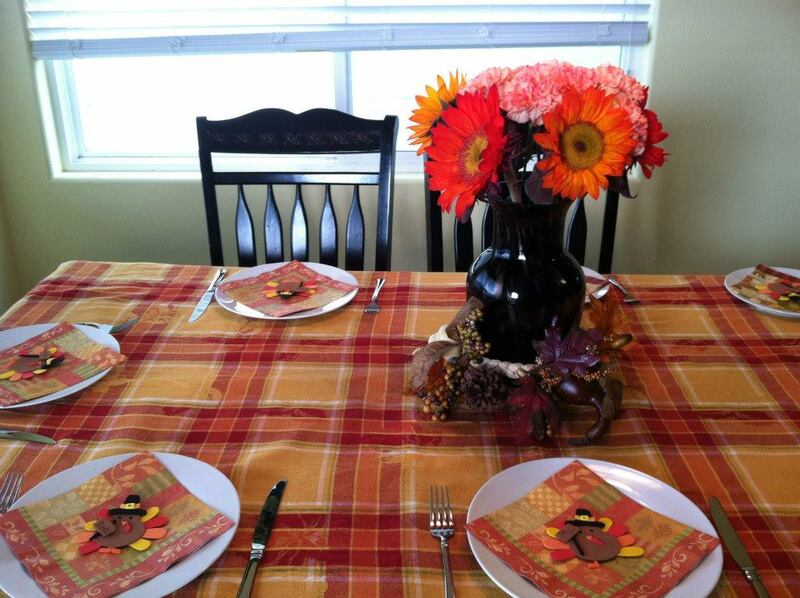 I was to host my family and make my very first turkey – complete with stuffing the bird myself. I already had all of the foam pilgrims and turkeys ready for the kids to assemble for place settings, the menu planned, and the post-dinner holiday movie selected. Their dad said to me: “I would never ask to take this holiday away from you.” He remembered how important these days are for me. “You should take them with you to see your family,” were the words uttered out of my mouth before my heart caught up to my brain. What was I saying?? It was MY turn! I love the holidays and I love my holiday rituals. But the right thing to do was to send them to see their far away family. My all-knowing 8 year old said, “Yes Mom, we did. Remember…” and she went on to recite many lovely details of the Thanksgiving dinner we had last year. She did not remember that we did not have dinner on the actual holiday. She simply remembered the celebration, love, and good food that surrounded our table. It made no difference to her that the meal had been shared on Saturday instead of Thursday. It made no difference to her that two years in a row our family Thanksgiving would be held on a day that was not the actual holiday. It only mattered to me. As a divorced parent, I have several times confronted the question of what holidays really mean. I have been forced to assess my own rigidity when it comes to holiday traditions and celebrations. Prior to divorce, this stubborn old Taurus had years of experience perfecting the art of being inflexible. I have learned in parenting as a divorced parent that attaching too much meaning to a specific date or event causes suffering only to myself. I see that it was not serving me to attach the specialness of the holiday to the actual day. Instead I should have been present during the celebration when I was serving the sweet potatoes. One of the most profound lessons learned while parenting post-divorce during holidays is that the true gift to be received is the gift of being present to the moment – whenever it may be.